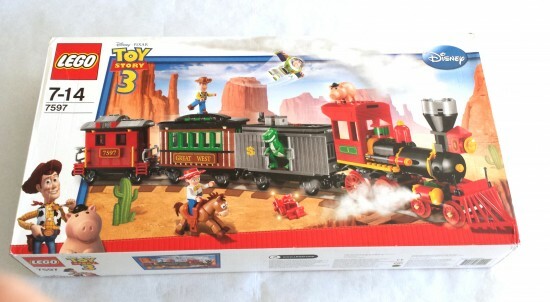 Toy Story’s Western Train Chase is a now retired LEGO set based on the Pixar’s Toy Story franchise based on the adventures of Woody and Buzz Lightyear on the Western diorama that appears toward the beginning of the last Toy Story movie. So here it is at last the review of this set. I wanted to buy 79111 Constitution Train but when I decided about buying it, it was already retired… so I spotted this old Train and got it instead. Where can I buy LEGO 7597? 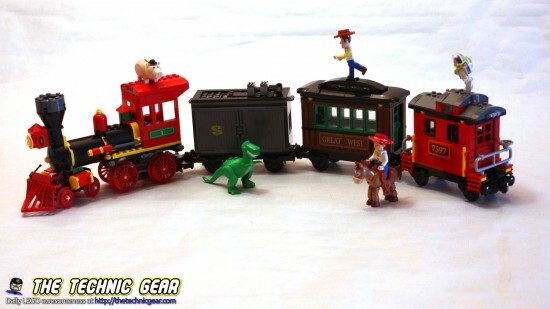 The LEGO Toy Story 3 Train Chase set lets you join Buzz, Woodie, Rex, and the entire gang on a Wild West train adventure. 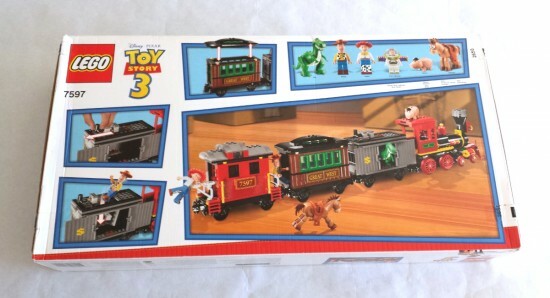 This 23-inch train features a delightful, cartoony aesthetic, making it an ideal first train for younger kids. It also comes with minifigures of Buzz, Woody, Bullseye, and other popular characters, allowing kids to reenact scenes from the movie. With 584 pieces and a unique modular design, this set will provide a healthy challenge for younger builders. It is a big box but it isn’t full as it is the way on most big LEGO sets. Here is the back box. The set is built using two manuals. 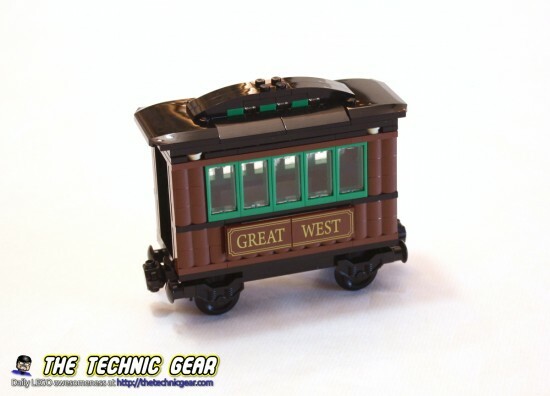 This train is an interesting building experience but before we move on the review let me tell you that it is a strange LEGO set. The minifigs are great and exact reproductions of the Disney’s original in small scale buuuuut they have the wrong LEGO scale. They are around 1.6 time taller than LEGO minifigs and so the train is taller and doesn’t respect other LEGO Trains scales. And for me that is a big drawback. I will explain you on a following post how to fix that. The locomotive is a nice building and it is quite interesting the way the bogie is built and let me tell you it will give some headaches when trying to motorize it. Also in the locomotive, the frontal part of the train is joint to the rest of the locomotive using a axle in a wonderful and strong way. Here you have the mandatory timelapse building. So here is the train. Keep in mind that this set comes with no tracks and when it is built as LEGO suggest it doesn’t keep on tracks for a long time because it derails quite easily. This is the train locomotive. This is the money car that has a special roof that works like a trap and has inside a box with explosives and tools. I love the way this car looks. The wood effect is really well done and seems almost real. It is a pity that it doesn’t respect the scale because it would have been awesome. 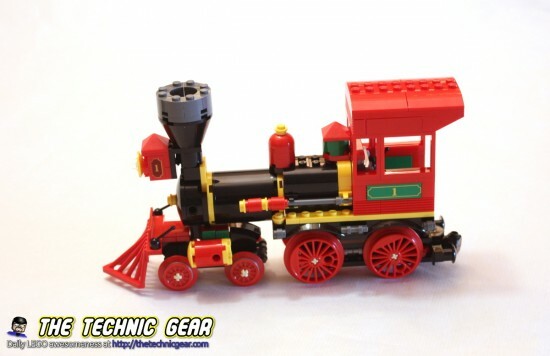 – It has interesting parts for building a real train. – It doesn’t respect LEGO Train scale. – It derails quite easily. – The train is very fragile. 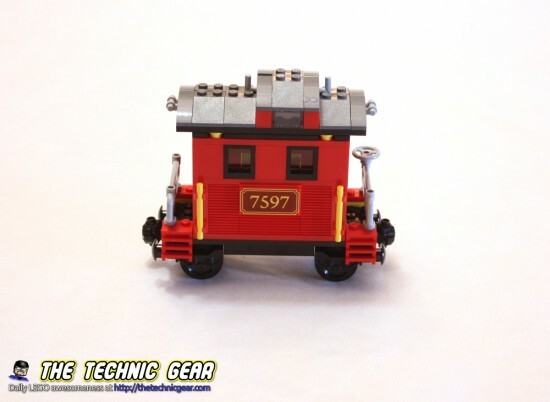 Does LEGO 7597 worth the money? I think it doesn’t. I would really put my money on another train or in the Constitution Train.